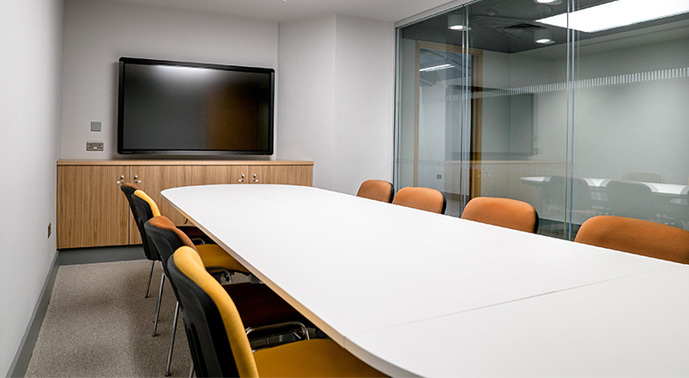 As well as offering a first-rate fitness facility, we also have a selection of very affordable meeting rooms and studios that are available for hire. Accommodating up to 18 people, our rooms offer the perfect space for local businesses, organisations, clubs, groups or individuals seeking a convenient central London location for interviews, conferences and training courses. Our meeting rooms can be booked by the hour, half day or full day. Refreshments and catering are available from our on-site cafe. Call us on 020 7343 1700 or email club.bookings@ymca.co.uk for more information. *Please supply your own HDMI or VGA cables if you plan to use the audio-visual equipment. Our first-class studios are also available for hire. These spacious, air conditioned studios can accomodate up to 40 people. Studios are available at an hourly rate, starting from just £35 per hour. Call us on 020 7343 1700 or email club.bookings@ymca.co.uk for more information. We have an art room which is well equipped for ceramics, pottery (with two pottery wheels), sculpture or drawing from life. The current charge is £67.50 per 2.5 hour morning or afternoon session inclusive of tutor and materials (clay or drawing paper / charcoal), plus £40 if a life model is required. The fee is £135 for a morning and afternoon session booked together (5 hours) plus £80 if a life model is required. The room comfortably takes up to 8 attendees, but can stretch to 10 if necessary. In the past the art room has been host to successful company bonding sessions and to general art involvement events. The art room can be booked at a discounted price for an individual wanting to use the wheel only. In this case the cost is £22 for 3 hours with own materials or £27 for 3 hours with clay and other materials provided by the Club. Individual users will not be able to use the kiln or have access to a tutor.